We don’t know anything about the three pieces of DLC due to hit BioShock Infinite, and according to creative director Ken Levine, we still have a wait ahead of us. Despite selling a season pass before release, we have yet to hear any specifics about the first piece of extra content, but Levine assures us progress is being made. In a recent Twitter message he explains, “We are working on it- have been since the game shipped. Things are going well, but please understand: game development takes time.” This isn’t too surprising, considering the lengthy development cycle for BioShock Infinite itself, and the game’s sales have surely allowed Irrational Games to follow its own schedule. If you’re looking for any new BioShock Infinite content, you can now buy the extra digital goods found in the Premium and Ultimate Songbird editions of the game. For $4.99 you can snag Comstock’s China Broom Shotgun, Eagle Eye Sniper Rifle, 500 Silver eagles, and six pieces of new gear. 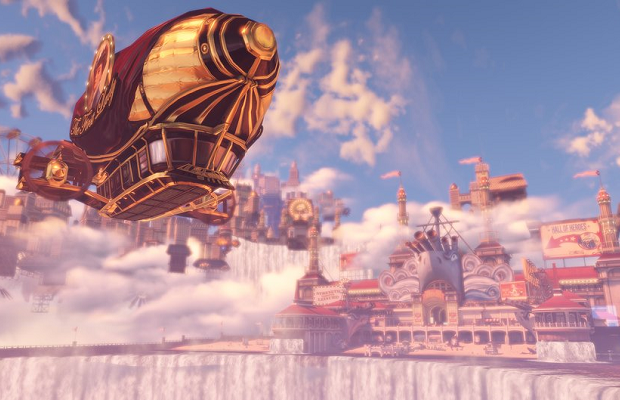 BioShock Infinite originally launched in March of this year, and sold over 800,000 units in that month alone.